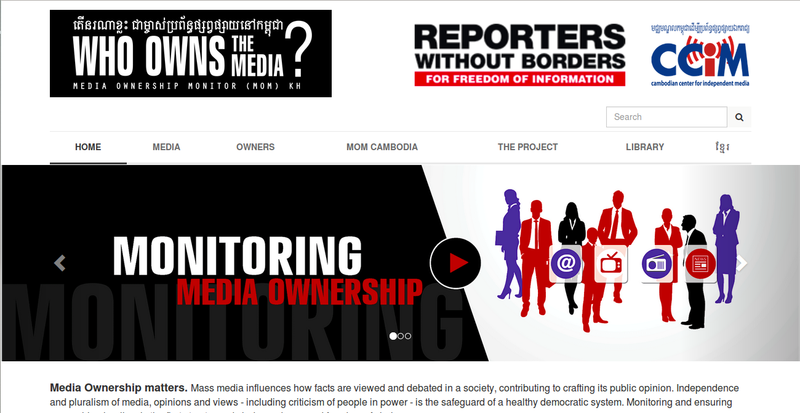 Media Ownership Monitor answers all these questions: How can people evaluate the reliability of information, if they don´t know who provides it? 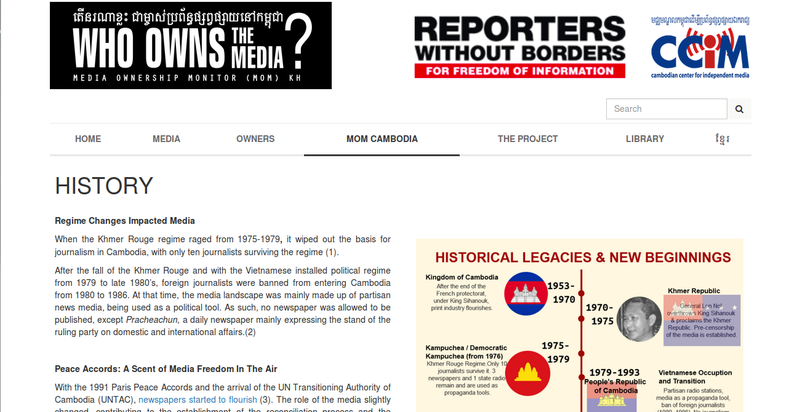 How can journalists work properly, if they don´t know who controls the company they work for? 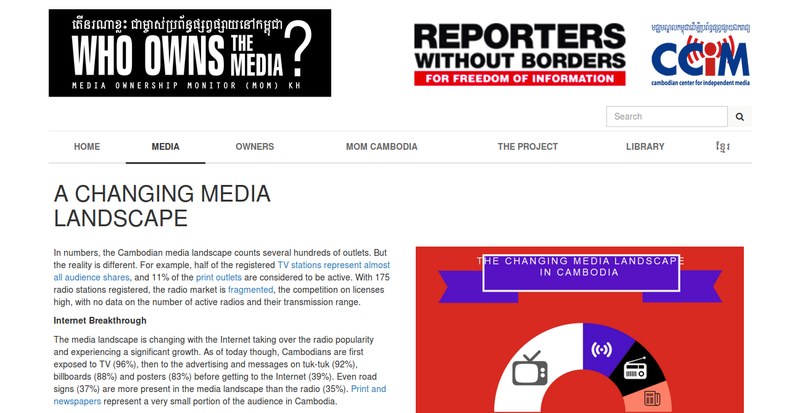 And how can media authorities address excessive media concentration, if they don´t know who is behind the media´s steering wheel? 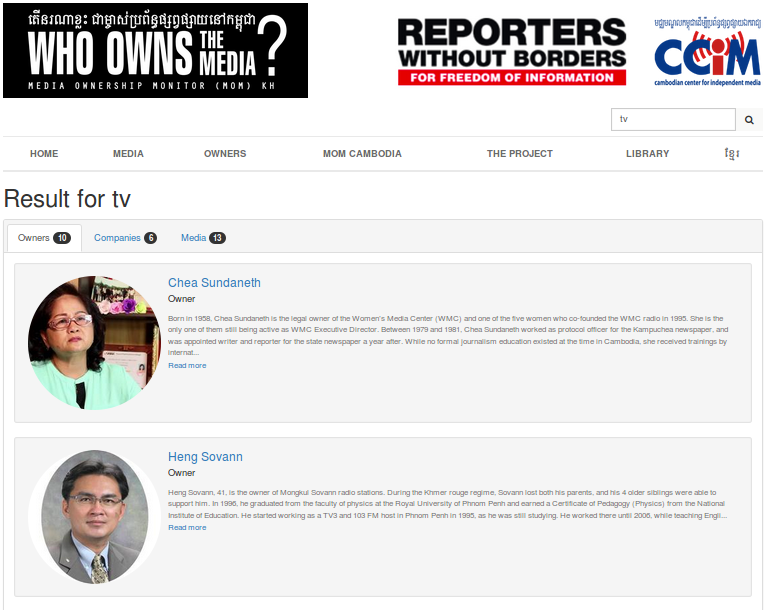 Media Ownership Monitor contains details about each media like: the owner of the media, history of the media, sources, geographic coverage and more reliable information. 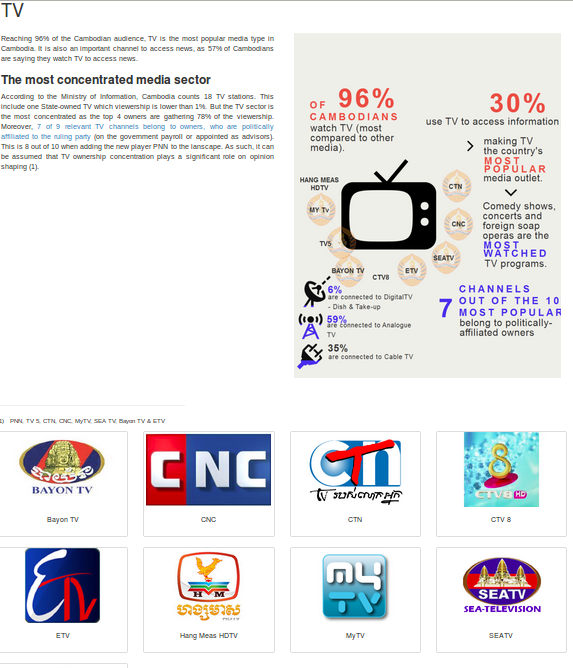 Media Ownership Monitor project was built by using Agile Methodology which means we put the customer satisfaction first, we welcome changing requirements throughout the project, deliver the software frequently (sometimes dayly), meet the client regularly etc. 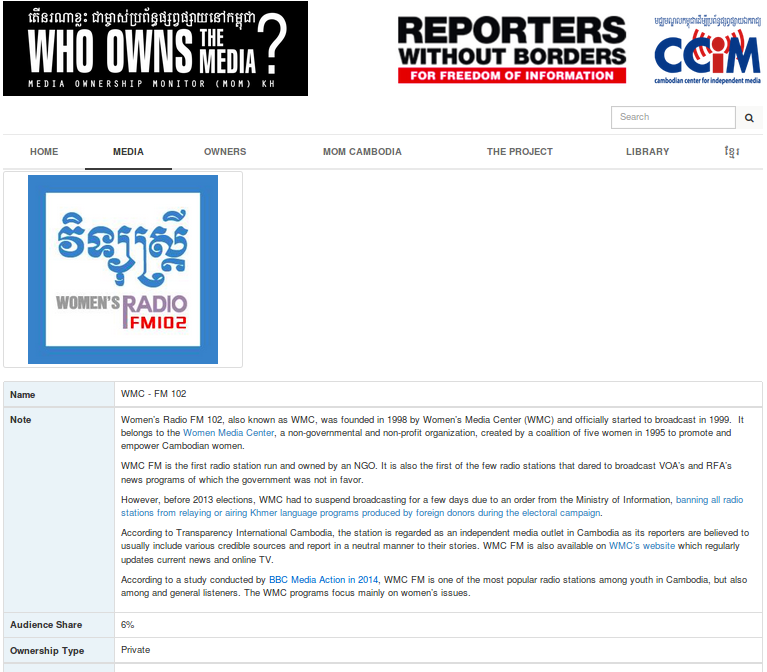 On 02th November 2015, Rotati CEO, Darren Jensen, developer, TY Uysim and Reporters Without Borders with The Cambodian Center for Independent Media organized a launch event of Media Ownership Monitor in Intercontinental. They also invited media professionals, experts, regulators, policy makers, and interested members of the public to discuss these findings and to start a dialogue on the need for a transparent and pluralistic media market.